Based on the best-selling book, PERCY JACKSON: SEA OF MONSTERS continues the young demigod’s epic journey to fulfill his destiny. To save their world, Percy and his friends must find the fabled and magical Golden Fleece. Embarking on a treacherous odyssey into the uncharted waters of the Sea of Monsters, they battle terrifying creatures, an army of zombies, and the ultimate Evil. 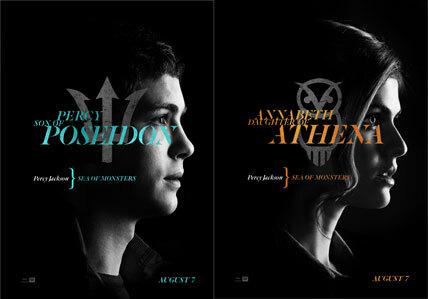 "Percy Jackson: Sea of Monsters" opens August 7 in theaters nationwide from 20th Century Fox to be distributed by Warner Bros.